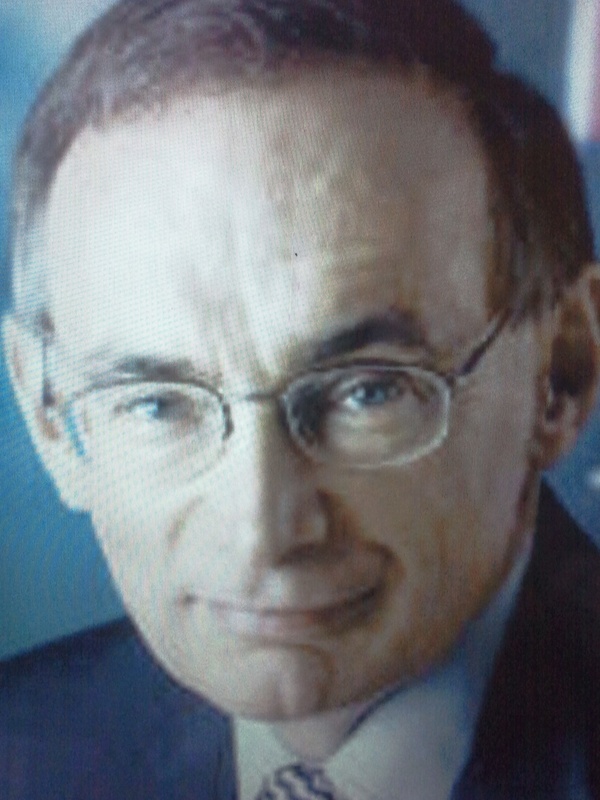 Bob Carr MP NSW Environment and Planning Minister. 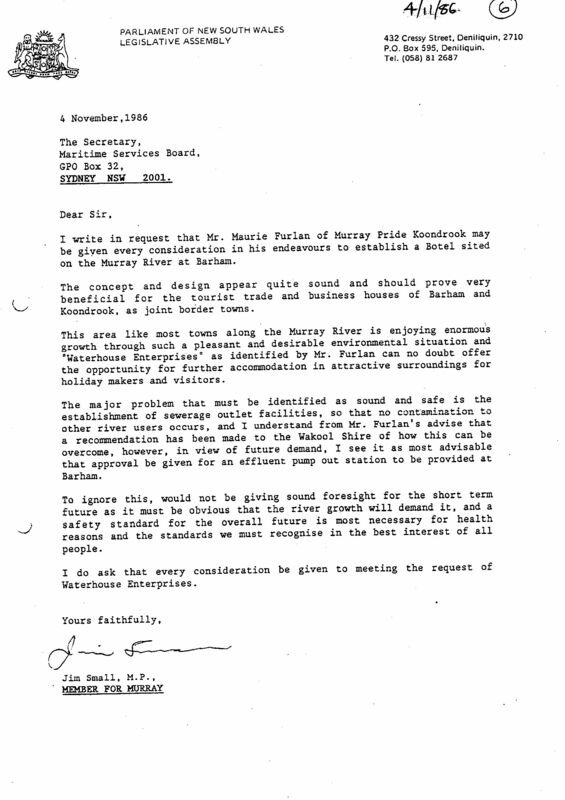 In 1986 he was preparing a plan for the Murray River and he called for submissions. Waterhouse learned of this through Maritime in Sydney. They wrote to Carr with their plan and he responded. They pointed out that there were only two places on the NSW section of the Murray River where vessels could discharge their sewerage. These were located at Echuca and Mildura. South Australia, on the other hand provided 24 discharge locations. Place WAK letter here. Waterhouse wanted to connect to the local sewer systems. They wanted to offer this free service to local and passing vessels. Link pump petition here. They put a proposal to NSW Planning Minister, Bob Carr to use these boats in a new and novel way. 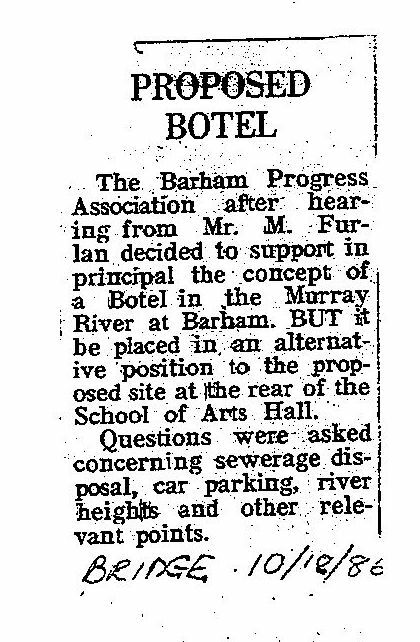 They proposed a series of Botel Marinas in close proximity to lucrative poker machine venues along the NSW banks of the Murray River. They received unanimous local support for this idea. Soon after having bought 34 prefabricated steel pontoon components and the the two kit homes, the local council and seven government departments reneged. Waterhouse could have built and sold the houseboats as originally planned. However, Carr deliberately and maliciously maladministered the project. 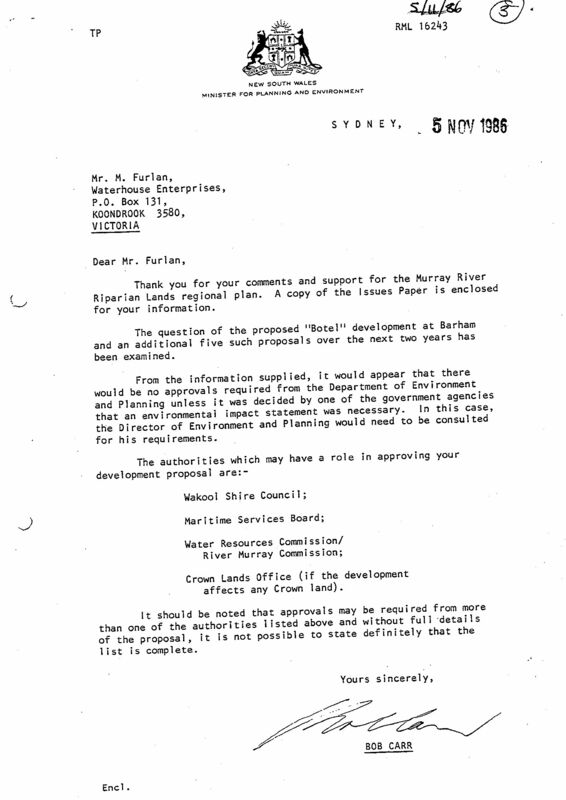 A number of politicians lied about the vessels in the NSW Parliament. 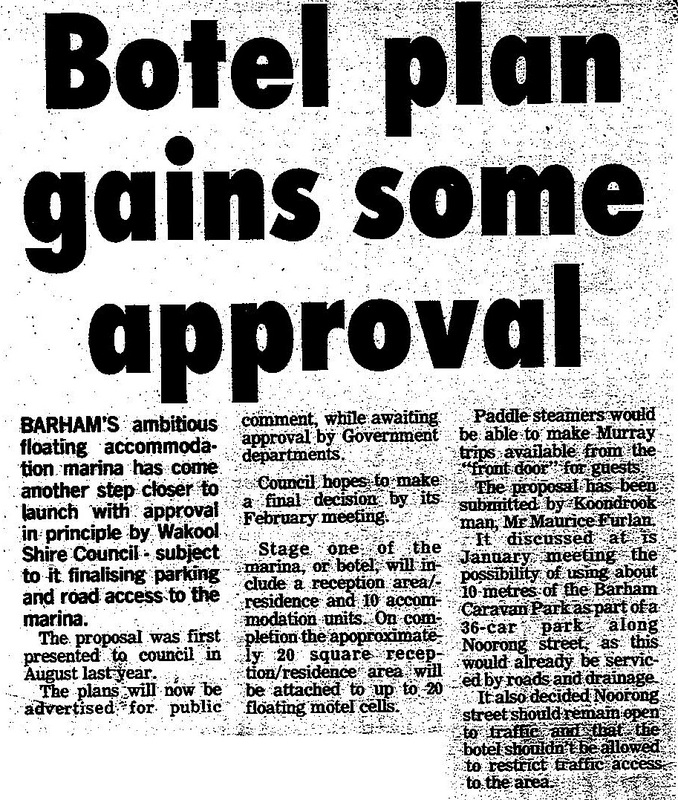 They had the backing of local newspapers and they often misreported the project. TV8 presented a deceitful Special Newshour Report. Waterhouse lost their home and life savings.